Now IT’S TIME to get it right! 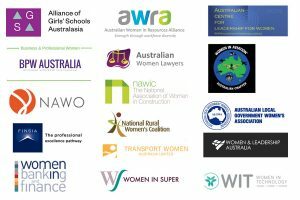 Responding to the unacceptably slow pace of change towards gender equality in Australia, leading organizations have come together to form the Australian Gender Equality Council (AGEC), a national not-for-profit organization. Like the women and men of the first wave of women’s movements who fought for the right for women to vote and enter Parliament and the second wave of women and men who fought for the right to reproductive freedom for women, their right to a job and credit and their right to equal pay, the Australian Gender Equality Council asks you to join with us to finish what was started over 100 years ago. You can do this by helping to fund the ‘It’s Time’ campaign in social and mainstream media, by spreading the messages in our campaign and by standing up beside us and demanding that those around you answer the hard questions. It is hard for the culprits to hide in the shadows when a light is being shone into every corner. Our latest newsletters, articles and pieces of interest in the area of gender equality. Here you find the latest media updates and media pieces related to the work of AGEC. Here you will find what AGEC is planning next as well as upcoming forums. Here we have gathered all reports and white papers that concern gender equality in Australia.